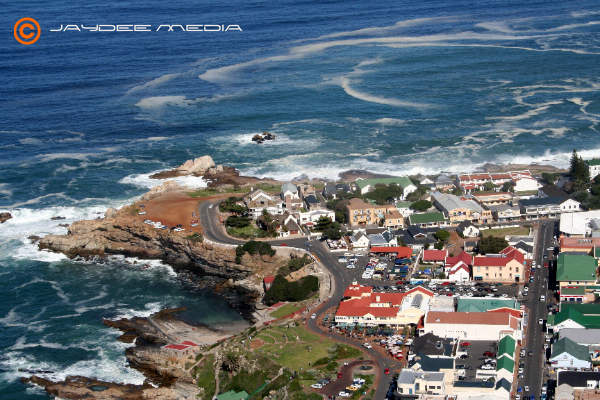 Hermanus is a beautiful beachside town situated about an hours drive from Cape Town International Airport. Hermanus is the land based whale watching capital of the world. Hermanus is mostly famous for being inhabited by Southern Right Whales every year between June and December, and the Great White Sharks at Gansbaai all year round. Famous for its champagne air, long stretches of beach, mild climate, rich floral kingdom and abundance of birdlife. Hermanus, the heart of the Cape Whale Coast, becomes a hive of activity with hustle and bustle every year during the last week of September, which is the official Hermanus Whale Festival week. Hermanus also has a special character that you are bound to meet if you visit during the Whale Season, and that is the famous Whale Crier, who carried a kelp (seaweed) horn and tells everyone where the whales are. Hermanus, the whale capital of the world. Where to stay, where to eat and what to do.